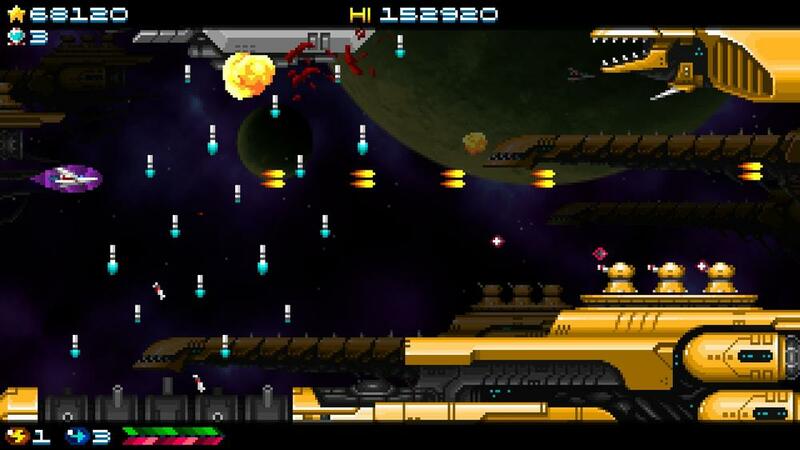 Super Hydorah is a nonlinear horizontal shoot' em up designed to offer a challenging and memorable experience, sublimating the wisdom and richness of traditional shmup classics. The game has direct action, nostalgic art and a wide variety of unique spatial content and situations. It is hours of intense fun, alone or with your friends, to face the menace of the Meroptians aboard the Delta Lance.